This year's San Francisco Silent Film Festival has something for everyone - whether it's the vamp allure in A Woman of the World, or the deliciously epic pie fight in Laurel and Hardy's The Battle of the Century, the gender-bending hi-jinks of I Don't Want to Be a Man, the topicality of the locally produced Mothers of Men, or the enchanting eye candy featured in "Fantasia of Color in Early Cinema." The popular event, now in its 21st year, takes place June 2-5 at the historic Castro Theatre in San Francisco. Along with a lively, eclectic line-up of films in an appropriate setting, each film features live musical accompaniment and often a special introduction. All together, it's a film lover's dream. This local Festival is at the forefront of world festivals devoted to silent cinema. Speaking of gender bending, the Festival is presenting an intriguing program titled "Girls Will Be Boys." 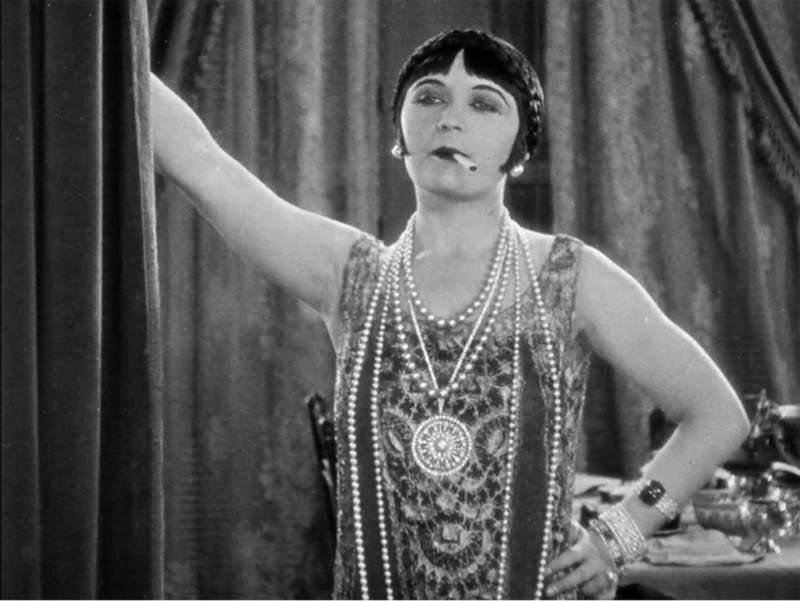 Inspired by a new book of the same name, this special program includes two delectable comedies that feature cross-dressing protagonists, Ernst Lubitsch's I Don't Want to Be a Man (1918), and the zany Hal Roach production, What's the World Coming To? (1926), which takes place in a future "one hundred years from now--when men have become more like women and women more like men." Former Bay Area resident Laura Horak, author of Girls Will Be Boys, will introduce. 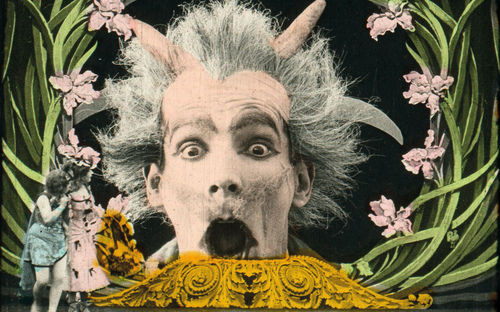 Another not-to-be-missed program is "Fantasia of Color in Early Cinema." This program presents an equally delectable collection of films from the EYE Filmmuseum in Amsterdam which show the ingenious techniques artists first used to create color cinema--long before the advent of Technicolor. Exquisite examples of hand painting, dyeing, and stencil coloring illuminate these early trick films and travelogues--each a virtuosic window into the imagination of early filmmakers. Discoveries, rediscoveries and restorations are always one of the highlights of the event. This year, the San Francisco Silent Film Festival is jointly responsible for the restoration of five films screened at the event. They include two by the great French director Rene Clair, The Italian Straw Hat / Un Chapeau de paille d'Italie (in partnership with Cinémathèque Française), which Pauline Kael called "one of the funniest films ever made, and one of the most elegant as well," and Les Deux timides (also in partnership with Cinémathèque Française). Also on the schedule is the grim Behind the Door (in collaboration with Gosfilmofond and Library of Congress), starring Wallace Beery; the feminist themed Mothers of Men / Every Woman's Problem (in partnership with James Mockoski and BFI), which was shot in the Bay Area; and What's the World Coming To? (in collaboration with Carleton University and New York University). The latter is part of the "Girls Will Be Boys" program. Speaking of restorations, be sure not to miss the free Friday presentation "Amazing Tales from the Archives." 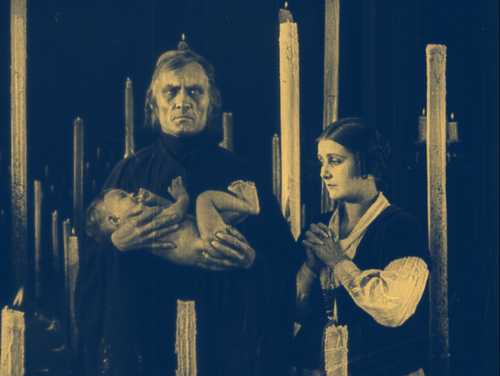 Among others, French filmmaker and restoration expert Georges Mourier will talk about his ongoing six-and-a-half-hour restoration of Abel Gance's Napoleon for the Cinémathèque Française, in partnership with Francis Ford Coppola, and The Film Preserve Ltd. That program will be followed by A Woman of the World (1925), starring uber vamp Pola Negri. The latter has been recently restored by Paramount Pictures. Another film worth taking-in is Oscar Micheaux's Within Our Gates (1920), the oldest surviving film made by an African-American director. The movie was a rebuttal to D.W. Griffith's groundbreaking, racist epic The Birth of a Nation (1915). This special presentation marks the San Francisco premiere of a new score for strings and voice performed by Oakland Symphony musicians and members of the Oakland Symphony Chorus. The Festival's closing film is Victor Fleming's When the Clouds Roll By (1919). In one of his last "Coat and Tie" comedies before transforming himself into the screen's most dashing swashbuckler, Douglas Fairbanks Sr. plays the unwitting subject of a nefarious doctor's hypnosis experiment. Tracey Goessel, author of the recent stellar biography of Fairbanks, The First King of Hollywood, will introduce. The 2016 Festival features a number of special guests, with none more illustrious than David Robinson, the recently retired Director of the Giornate del cinema muto silent film festival (commonly known as Pordenone). Robinson began writing for Sight and Sound and other publications in the 1950s, and was later film critic for The Times of London. He has authored a number of books, among them Hollywood in the Twenties (1968) and The History of World Cinema (1973). His bestselling Chaplin: His Life and Art, published in 1985, and was source material for the 1992 Richard Attenborough film Chaplin, starring Robert Downey, Jr. Prior to the screening of the Anthony Asquith-directed behind-the-scenes look at British moviemaking, Shooting Stars (1928), the 2016 San Francisco Silent Film Festival Award will be presented to Robinson for his commitment to the preservation of silent cinema. Other special guests include presenters Leonard Maltin, who will introduce The Battle of the Century and Other Comedy Restorations program, and actress Illeana Douglas, who will introduce Destiny (1921), an early spectacle by Fritz Lang. Douglas, the granddaughter of Hollywood great Melvyn Douglas, has been seen on Turner Classic Movies, where she hosts specials focused on unheralded women directors from film history. Recently, she penned a memoir, I Blame Dennis Hopper (2015), on her life in Hollywood. Thomas Gladysz is an arts and entertainment writer and regular contributor to the Huffington Post. He is also the founding director of the Louise Brooks Society, an online archive and international fan club begun in 1995. He contributed the audio commentary to the recently released Louise Brooks film, Diary of a Lost Girl (Kino Lorber).